Is the love story on TV really that sad? Mr KNOW tears up watching a TV soap. Mr KNOW was peeling onions while watching the soap! 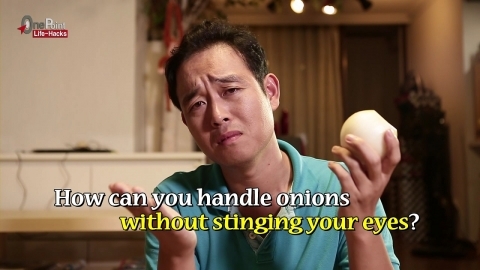 How can you handle onions without stinging your eyes? ▶ Put peeled onions in cold water for 10 min.